The chaps have a chat with the Western Daily Press about all things Sticky Wickets! 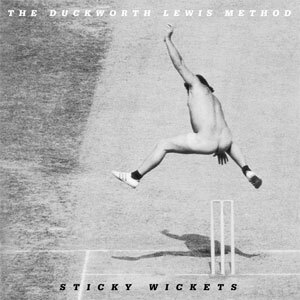 If you're not a cricket fan, The Duckworth Lewis Method's name will probably leave you stumped. But for lovers of the quintessentially English game, it might provoke a wry smile. The duo are, for anyone who doesn't know, named after the mathematical formula used to work out the target score for the team batting second in a match of limited overs that happens to have been interrupted by bad weather. 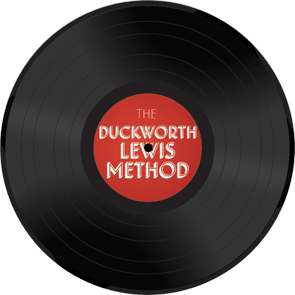 The Duckworth Lewis Method consists of Neil Hannon, best known for his work as the main man in The Divine Comedy, and Thomas Walsh, of cult Irish indie band Pugwash. They released their self-titled debut in 2009, shortly before the start of that summer's Ashes series, and were surprised by how it was embraced by cricket fans across the country. You could say they were bowled over. "It was funny, people I'd known for donkey's years came out of the woodwork when I mentioned that album," says Hannon. "They'd say things like, 'Well, did I ever tell you I played under-15s for Surrey?' and I had no idea they were interested in the game. Certainly in Ireland, where we're both from, it's like the love that dare not speak its name, which we've been trying to change for some time." With their first collection of songs, including Jiggery Pokery, which referenced the infamous massively-spinning ball bowled by Shane Warne which did for Mike Gatting in the 1993 series, Hannon and Walsh tried to cram in as much cricket knowledge as they could. "With Jiggery Pokery, I wanted to see if it was possible to write a song about one delivery and it turns out you can. It's bloody difficult though. It's like a musical Sudoku," says Hannon. This time around, while still centred on their favourite sport, they've gone for fewer obvious references. As with their debut, there is a novelty attached to a pair of seasoned professional musicians singing about sport, but they've managed to avoid falling into the dreaded "comedy album" territory. Back when they were promoting their first album, the pair say they had no idea they'd make another. When it came to writing the second, they had no initial premise to tie what they were writing together beyond the fact it had to be about cricket. "No matter how much people like a record, and we really enjoyed it, we didn't want to do the same thing again as that would be pointless," says Hannon. "We hadn't got a structure to the album at all," continues Walsh. "After six or seven songs we wanted to find that, and then it just came up one day." What ties this second album together is a touch of Carry On-style humour. Innuendo runs through many of the songs, from the title of the album, Sticky Wickets, a pun on The Rolling Stones' 1971 masterpiece Sticky Fingers, to the lyrics and album sleeve. "Ah, the cover..." says Hannon, laughing. "That's Michael Angelow jumping over the stumps, naked, at Lord's in 1975. We sound immensely pleased with ourselves sometimes on this album, but it's not because we think we're geniuses – we do think we're schoolboys – but it's because we're having so much fun. In among the innuendo we do have moments of profundity, seemingly out of nowhere." The nudge-nudge humour, together with a riff like a cross between the Stones' Brown Sugar (the opening track from Sticky Fingers) and Start Me Up, really started things moving with the album. Then they had to work out how to solve a few problems they were having on a song called Judd's Paradox. "I'd had this music for about 15 years but couldn't write the melody," says Hannon. "We had some words but couldn't sing them over the top, so I started just saying them. Then we decided we needed a more sonorous voice to do it justice." So, via their friend Phill Jupitus, they contacted the comedian's QI colleague and fellow cricket fan Stephen Fry and asked him if he'd read out the lyrics instead. "To our absolute astonishment he said yes," says Walsh. He's not the only special guest to feature on the album. Daniel Radcliffe appears on The Third Man and Neil Finn of Crowded House sings the final chorus on the album's closer, Nudging And Nurdling, while commentary royalty Henry Blofeld and David 'Bumble' Lloyd make cameos on It's Not Cricket and Boom Boom Afridi, a tribute to Pakistan's aggressive batsman Shahid Afridi, respectively. "For the lyrics of Boom Boom Afridi, I think we ripped off everything David Lloyd had ever said about him during his commentary," says Hannon. "'If you're going to flash, flash hard' and all that, so the only decent thing to do was to have him on the song himself." Walsh adds: "We weren't forcing anyone to come on the record. It was either just a yes or a no we were after. We wanted to ask Jeff Lynne from Electric Light Orchestra, because he's cricket mad and a big influence on the album. We just wanted him to say 'nudging and nurdling' in that accent, but he was really busy last year when we were recording. Everyone else we asked came through, apart from Mick Jagger. We nearly got him." "No we didn't," retorts Hannon. "We asked him and he said no. That's not almost getting him at all, it's the exact opposite." The build-up to the release of Sticky Wickets saw the duo performing at Lord's and appearing on a radio show alongside England stars Jimmy Anderson and Graeme Swann. The excitement in their voices as they talk about meeting their idols is palpable, as is the reverential tone they adopt when referencing Lord's. Will they make a third album of cricket songs? They're not sure. They both agree three might be pushing it and taking the joke too far, although they don't rule it out completely. Ask them for an Ashes prediction and they both go for an England victory, although Walsh believes Australia will win at least one of the five Tests. "I've got England down to win 3-1," he says. "But England winning is a definite, I think." Hannon is even more optimistic. "I think England's depth in batting and bowling is too much for Australia. They'll always contend, the Aussies, because they're fighters, but England will win 3-0." SEPTEMBER 20 – St George's Church, Brighton; 21 – Shepherd's Bush Empire, London; 24 – Oran Mor, Glasgow; 25 – The Sage, Gateshead; 26 – Academy 2, Manchester; 27 – Brudenell Social Club, Leeds; 28 – St George's Church, Bristol; 29 – Glee Club, Birmingham.